1. 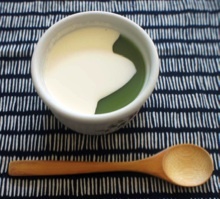 Place matcha powder in small bowl. 2. Add 2 tsp. room temperature water and mix into a paste using a whisk. 3. Add 2 oz. of hot water and mix well with a whisk. 4. Add 3-4 oz. of warm milk, mix with whisk. Enjoy! Note: You may add a sweetener or replace milk with soy milk. Using steamed milk creates a nice foam on top. 3. Place ice cubes and orange juice in a glass. 4. Pour match into the orange juice gently to create two beautiful layers. Enjoy! 1. 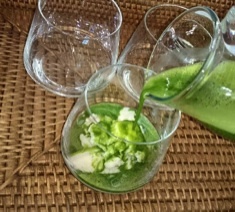 Add matcha, 4 oz. of water and a few ice cubes into jar, container, or cocktail mixer. 2. Seal the lid tightly, shake vigorously for 15 seconds. 1. Mix oil and sugar well in a bowl. 3. 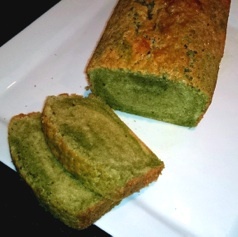 In a zipped bag, mix flour, matcha, and baking power. 4. Add the flour mix and milk gradually to the bowl. 5. 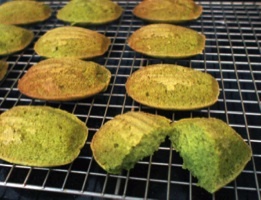 Pour mix into muffin tin lined with papers. 6. Bake 15-20 minutes at 350º F.
Note: Try adding chocolate chips, white chocolate chips, or nuts to the batter or topping baked cupcakes with your favorite frosting. 1. With an electric mixer, beat butter and sugar. Then, beat in egg yolk. 2. In a zipped bag, mix flour, baking powder, and salt. 3. Add dry ingredients to butter mixture gradually along with milk and vanilla. 4. Divide dough in half. Add match in one half of the dough and mix well until it becomes evenly green. 5. Shape each portion of dough into a square log in wax paper. Refrigerate until firm. 6. Unwrap dough. Using a sharp knife, slice each log lengthwise into fourths. 7. By combining doughs in two colors, have fun making strips, checkers and pinkwheels. 8. Cut logs crosswise into 1/8-inch thick slices and place on baking sheets. 9. Bake at 350º F for 10 minutes. 1. Beat yolks and half of the sugar well until thick and pale. 2. Beat Macarpone until smooth and add to 1. 3. Whip heavy creme and add to 2. 4. 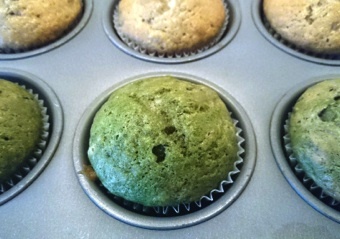 Sift 1 Tablespoon of Matcha and mix into 3. 5. Whip egg white, add the rest of the sugar gradually until it becomes stiff peaks form. Add to 4. 6. 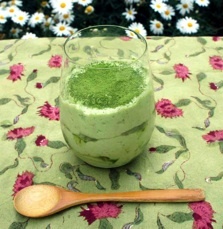 Disolve 1 Tablespoon of Matcha with 1/2 cup of water. 7. Arrange ladyfingers or sliced sponge cake in the dish or glass. 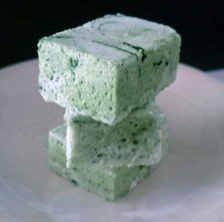 Pour Matcha solution so they are soaked. Spread mascarpone mixture. 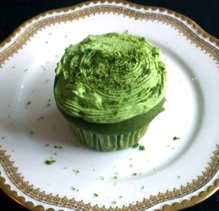 Repeat layers and sprinkle with Matcha on top. Check out recipes on our facebook page or email us! 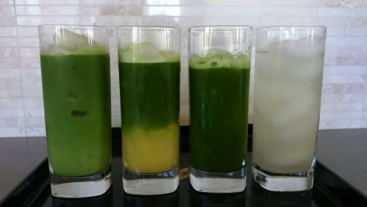 L to R: Iced Matcha Latte, Matcha Julius, Iced Matcha, Sencha Arnold Palmer.